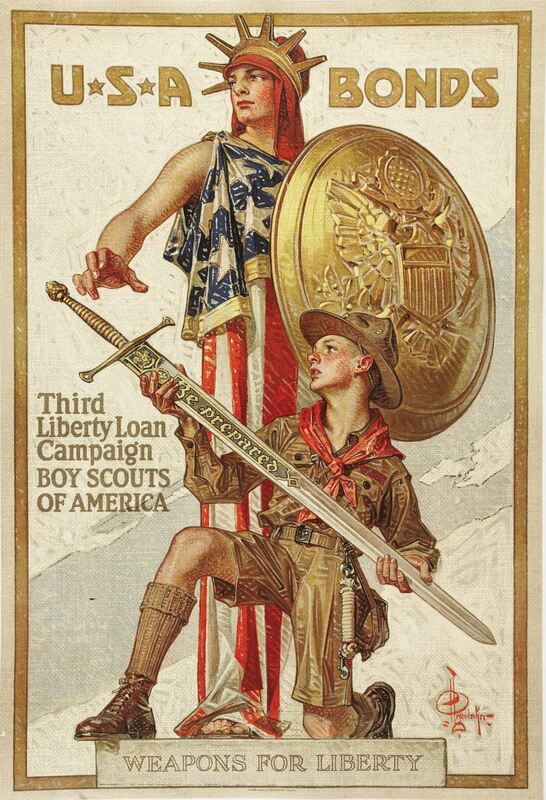 ABOVE: J. C. Leyendecker, “Weapons for Liberty” poster (American Lithographic Co., 1918). 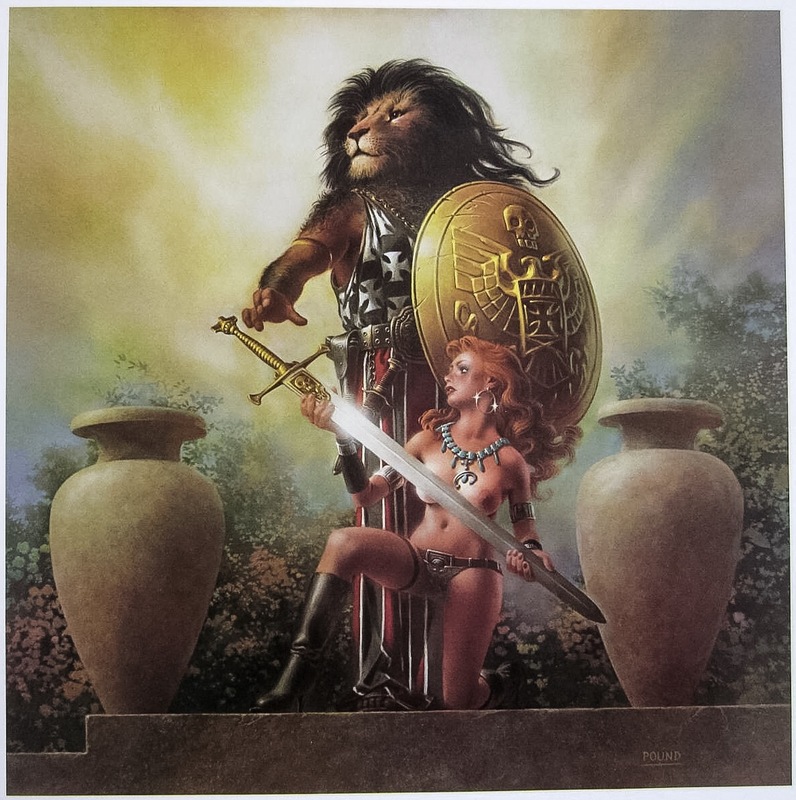 ABOVE: John Pound, “The Lionhearted,” plate 2, from the portfolio, Power and Glory (Shanes & Shanes, 1980). ABOVE: Maxfield Parrish, Garden of Allah (1918).